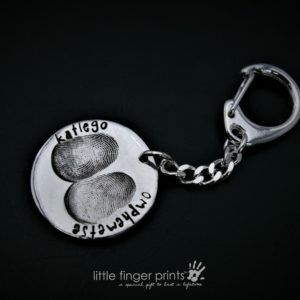 Stay up to date with the latest products and specials on Little Finger prints. 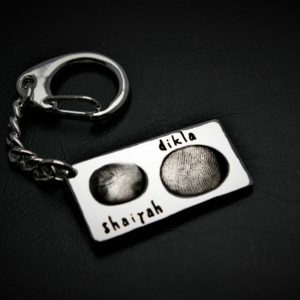 Create a special keepsake gift with Fingerprint Keyrings. 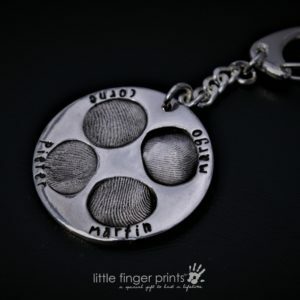 All of our keyrings are created using the true fingerprint detailed pattern from your loved ones. Taking the fingerprint is a really easy process using one of our Magic Fingerprint Kits, which come free with every order. 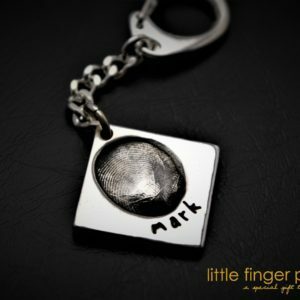 Our specialist Fingerprint Jewellery designers will use the image of the fingerprint to capture the swirls and unique detail on the Keyring. All of our keyrings are made within 3 – 7 days and come with a lovely gift box ready for gifting.